I receive the nicest comments from my photography clients. Suzanne Sheridan is the best photographer that we have ever had the pleasure of working with! 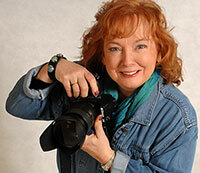 Her professional demeanor, and inviting and calming methods, has led us to great success with our pictures. There hasn’t been a bad picture in the house! The hardest part is to choose which picture to use because they all look so good. Even our toughest employees with confidence issues have walked away extremely happy. Suzanne is responsive, always on time, comes prepared, and is extremely respectful of our confidential working environment. We are so grateful to have Suzanne as our professional photographer. I would highly recommend her to anyone who seeks perfection in their pictures. She is a real gem!! Thank you, Saima. I enjoyed working with everyone too! – Suzanne. Suzanne, Such a lovely comment. It’s nice to see you’re appreciated for your talent and how good you are at working with people!